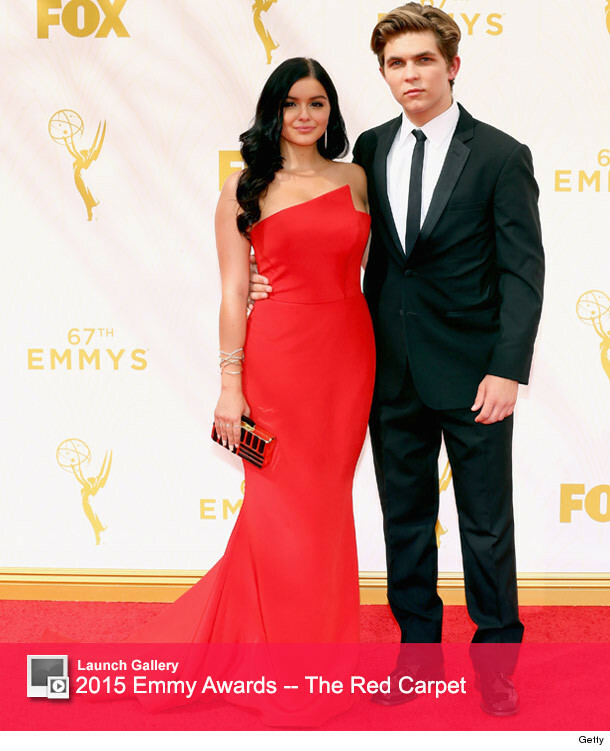 Ariel Winter stole the spotlight on Sunday night at the 2015 Emmy Awards, sporting a fiery strapless Romona Keveza gown that hugged her curves. The "Modern Family" star completed her bold look with a gold cuff, tousled waves and boyfriend Laurent Claude Gaudette on her arm. The 17-year-old actress even packed on the PDA with her beau as the couple posed for pictures! This is Winter's first award show appearance since she announced her breast reduction surgery on Glamour.com earlier this month. The teen star revealed that she went under the knife in June to reduce the size of her chest from a 32F to a 34D. Her decision to have the surgery stemmed from years of physical and emotional pain. "It's amazing to finally feel right," she told the site. "This is how I was supposed to be." "There was so little that I could wear that was age-appropriate," she continued. "I'd have to wear the dress that was super tight and form-fitted everywhere because if I didn't, it didn't look good. I didn't really have an option other than to wear fitted clothes. Everyone would [say], 'Why is she dressing so mature? That's so inappropriate for her age!' I understood what they were saying. It's not like I wanted to pick out those inappropriate dresses, it's just that I didn't really have another choice, or I was going to get ridiculed." Fortunately, those days are over -- Ariel looks absolutely stunning and totally age-appropriate!